Sell My Motorcycle in Tennessee. 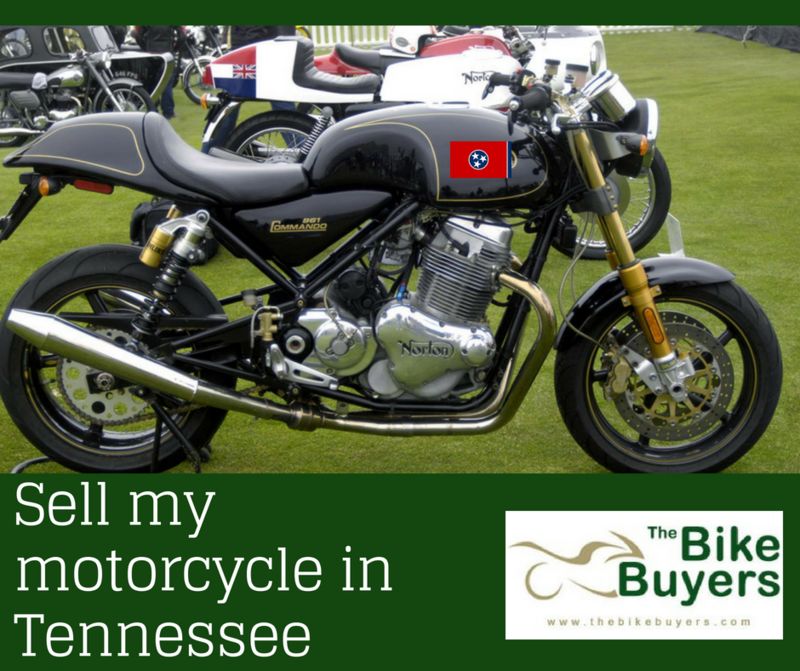 If your motorcycle is no more for you, you in need of some quick cash in Tennessee qui. Then you can come over from this situation by selling your motorcycle to motorcycle buying company. But if you are interested in making good cash then you should choose only TheBikeBuyers.com. We promise to pay cash as much as possible according to your motorcycle condition. We buy your motorcycle at good price. We try our best to make a hassle free deal for you. We suggest the best deal to our customers. We never make our deal with the help of motorcycle brokers. These brokers always create problems for customers. No need for spending money for ads and all these types of efforts. Come to us and fill our easy online Get a Quote form or give a call on the following number 877.751.8019.